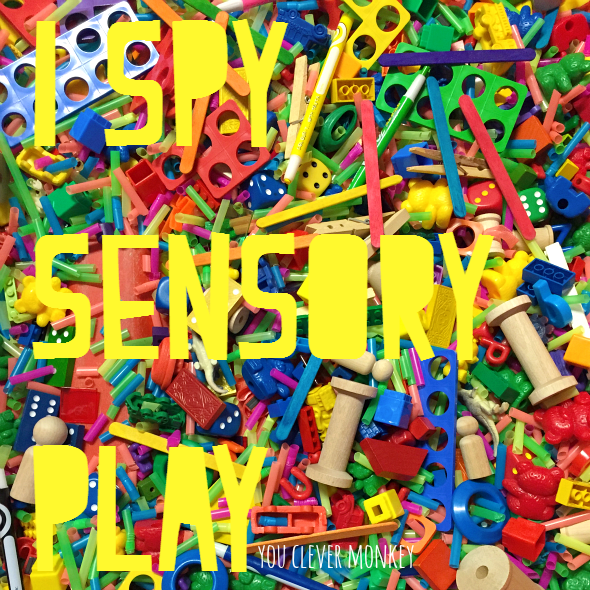 Help develop maths rich language in your Early Years classroom by creating a game of I Spy in your sensory tub for play! Who doesn't love to play? And we know how important it is in Early Childhood especially. 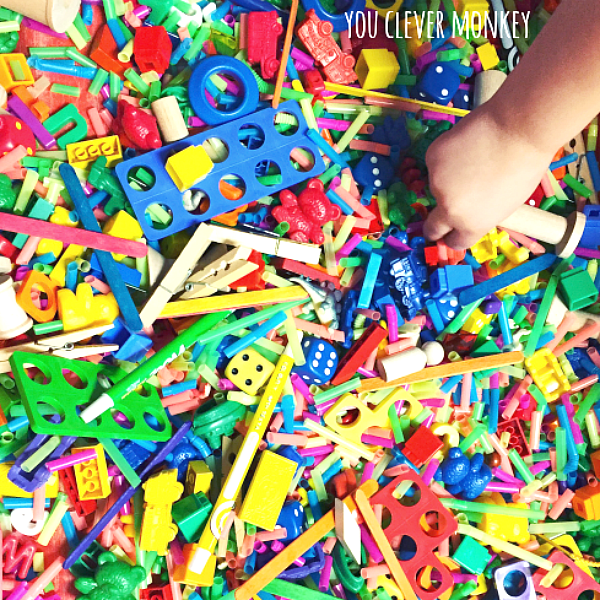 Play can be purposeful and it can be used to help develop subject specific language in preschoolers with just a bit of thought and careful planning. Many children start school being unfamiliar with some of the tools we use in our classrooms. This can be particularly true of math but how to create a rich math experience during sensory play? 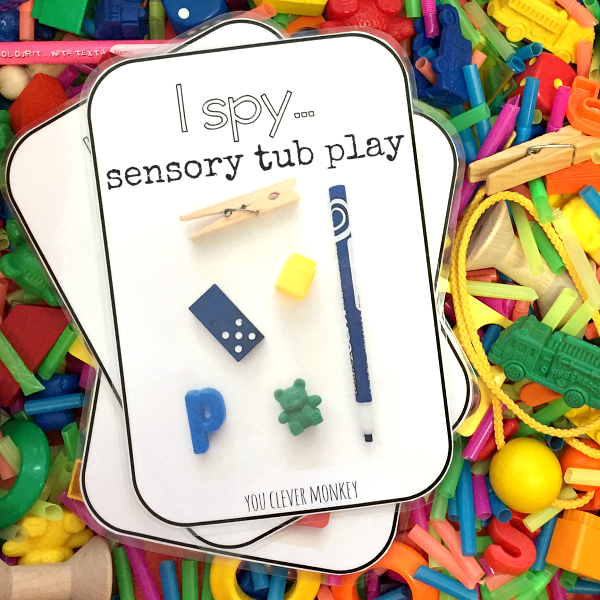 With this I Spy sensory tub! I love creating invitations that encourage play amongst children in meaningful ways as it creates valuable opportunities for learning both at home and at school. 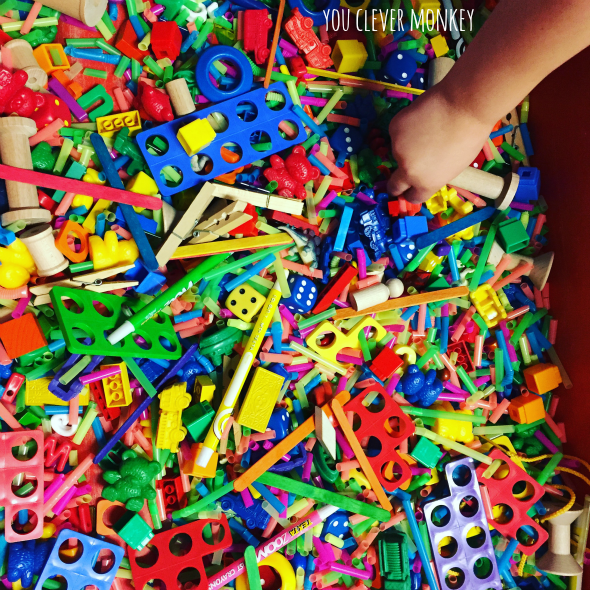 Through play you can easily introduce new language and concepts to young children ahead of using this same language to intentionally teach students. Using our cut straws as a base in a large free standing water table, I added a range of objects made from different materials in a range of colours and various shapes and sizes. 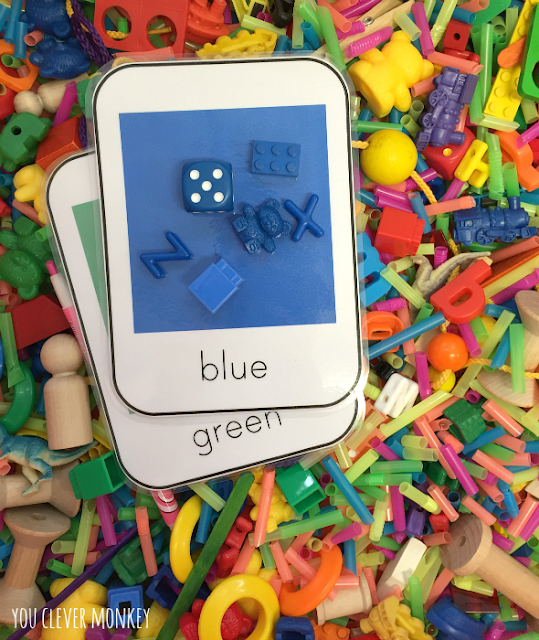 We use many of our math manipulatives because we wanted to focus in on some of the materials they will use more and more in their first years at school. Looking for Numicon outside the US? 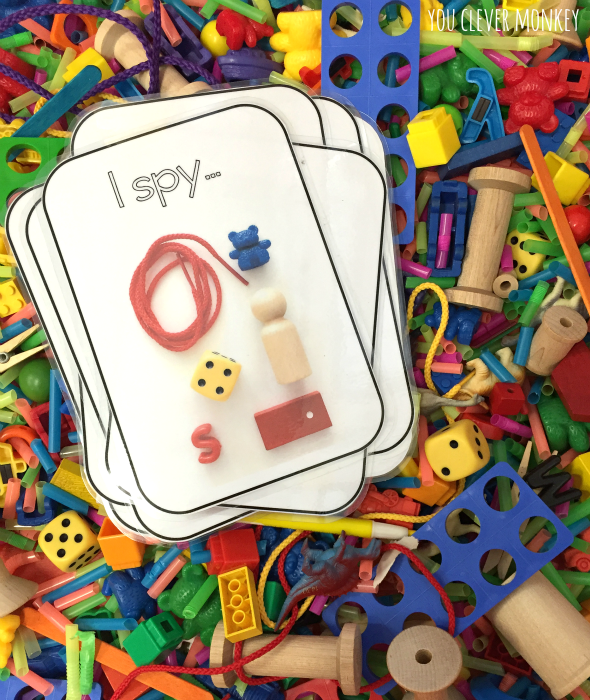 For a bit more fun and help encourage the language we wanted to build on I made these I Spy cards to add to our play. You can download them for FREE. It's not the only way children might play with this tub but it creates an invitation, a challenge that some certainly enjoy and it allows us as educators another opportunity to talk about the objects. I've also switched out the I Spy cards for some simpler colour cards but you could add some magnetic wands to investigate the properties of some of the materials in the tub. I can almost hear you groaning at the thought of packing away all those materials like that time some of your students decided to use five different containers of maths equipment in their 'cooking' one day in the home corner (true story). I know you don't have time to do this! 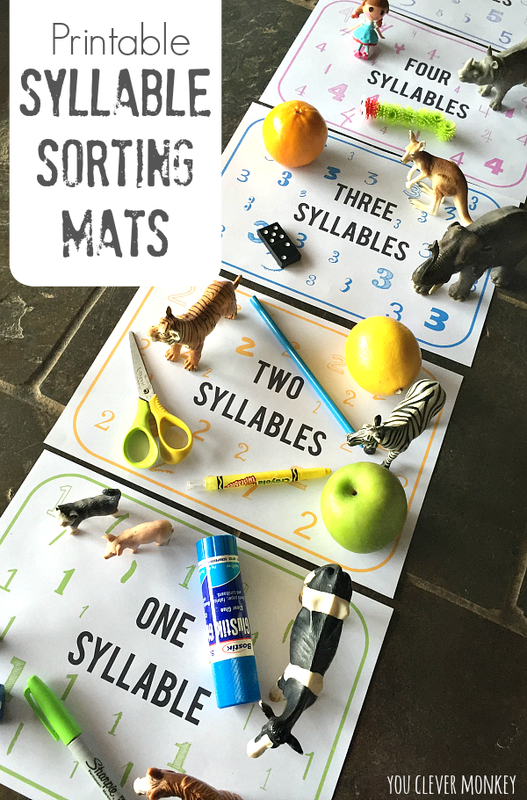 Be smart and turn it into a game and have the children help you sort it when you're ready to pack it away. I had my students collect one group of objects and then we laid them across the floor to see who had the longest line. The Numicon won! Want to set up your own? You can grab our I Spy cards for FREE from our shop. You can also download our Colour Cards from there too. I used maths materials that are found around the world. Choose a large container at least 4-6 children can easily fit around and then add your materials. Ours had a maths focus but you could really choose anything and it will still be fun and engaging.